Bentota boasts one of the most exquisite beaches in Sri Lanka allowing you to bask in the serene tranquility of island life. It has everything you need for a sun-kissed holiday, with fanning coconut trees and a golden sandscape. Nothing: Just sit back, relax and enjoy the beach and the breathtaking view it promises. Water Sports: Jet skiing, wind surfing, banana boat rides and canoeing are some of the many sports that can be enjoyed if you’re looking for that thrill. Madu Ganga River Safari: Cruise between the mangroves across the island. Over 111 birds reside in Madu Ganga, and there are many boat rides and tours more than happy to take you deep among the wildlife. Kosgoda Turtle Conservation: You can hang around with turtles in their natural habitat and even watch them lay eggs in the sand. The sad truth is that turtles are endangered. However this conservation is working on preserving them and giving them a life they deserve. 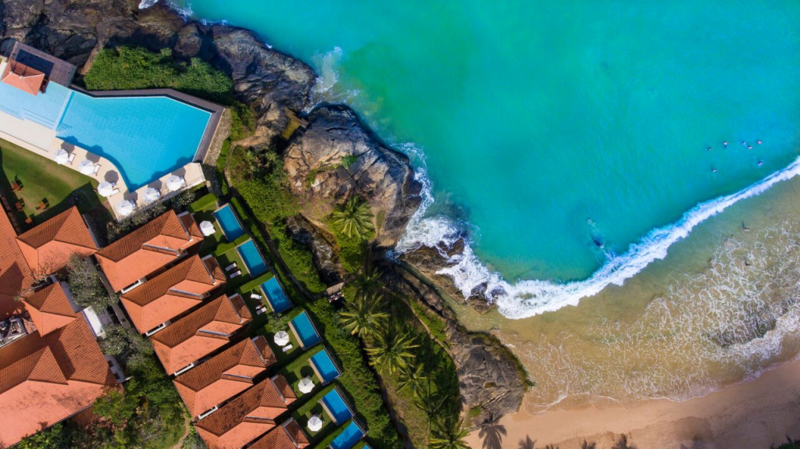 Dive in: Bentota is ideal for diving. Explore the corals that blanket the sea with their electrifying hues in Canoe Rock, South Reef, and Hundirangala. 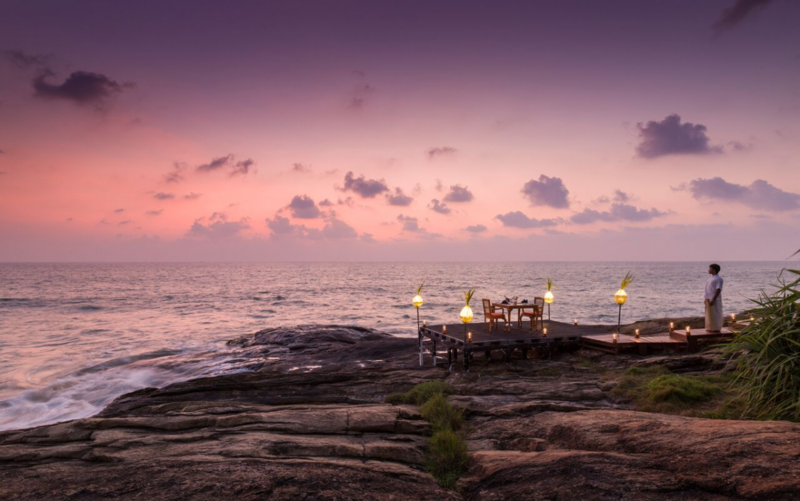 Saman villa is a treasure hidden in the beaches of Bentota; an island within an island. The hotel faces the beach and embraces the evergreen coconut plantation, while the sea ‘dozes off’ at its own pace disturbed only by the chirping of birds. The hotel has 27 rooms and every room is a surprise on its own, and with 8 of them equipped with their own plunge pool. Being cut off from the hustle and bustle of daily life, surrounded by swaying coconut trees and watching the sunset before the twinkling stars. Doesn’t that sound romantic? The hotel provides halal food (but pork is also served). There are many halal street food outlets available in Bentota as there are many local Muslim residents. The closest mosque is in Durga Town which is 7km away from the hotel. Prayer facilities are also available at the hotel. Sri Lanka is marked as one of the best honeymoon destinations in the world, boasting rich coastal lines. It is an ideal location for Muslims since halal food is freely available. There are mosques in every city which makes completing the obligatory salah hassle-free.